The amazing potential of music to relieve the Parkinson’s symptom ‘freezing of gait’ – a sudden inability to move – has been reinforced by a viral video that has been viewed almost 10 million times. 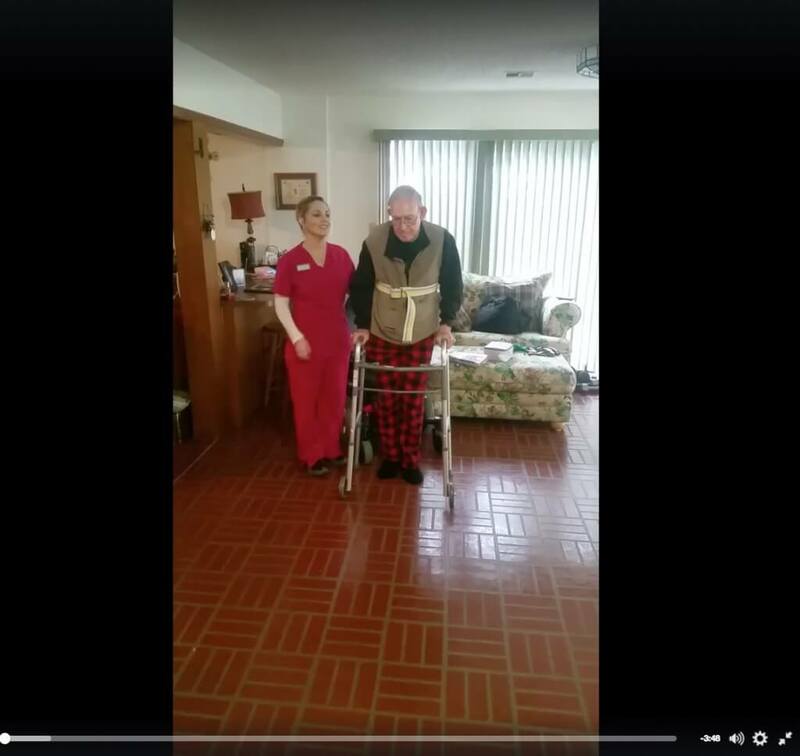 The video was posted to Facebook by physiotherapist Anicea Renee Gunlock – who lives in Fanshawe, Oklahoma, US – to encourage other physiotherapists treating Parkinson’s patients to use music in their sessions. In the video, Anicea introduces Larry Jennings, her 73-year-old patient who has lived with Parkinson’s for 10 years, and explains that she had previously tried traditional physiotherapy approaches during his gait training sessions – but hadn’t seen much improvement. 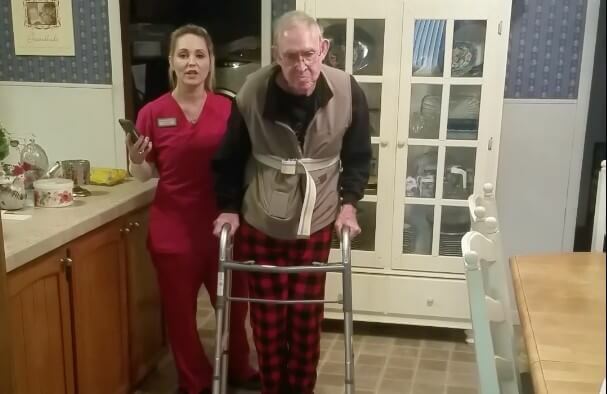 The footage then shows how Larry has difficulty with walking (in particular with ‘smooth gait cadences’ – walking with a relaxed, regular rhythm), even with Anicea’s help. She then plays a song, ‘Good Ole Boys Like Me’ a 1979 country song by Don Williams, for Larry to walk along to. Larry bobs his head in time to the music, to internalise the rhythm and then sets off on his walk around the house. At first, he’s guided by Anicea but after a minute or so he is able to walk completely unaided. Towards the end of the video Larry is so confident on his feet that he’s able to take Anicea in his arm and dance with her around the house. Anicea wrote in her accompanying post: “I don’t know who was more shocked at the immediate results! He just took off walking without a hitch; we walked all over his house, even through doorways with ease that previously had been very difficult for him! Anicea said that she decided to share her video online in the hope it would inspire other Parkinson’s patients and the therapists who work with them. She has received thousands of positive comments praising and encouraging her technique. Around the world there are specialist dance classes for people with Parkinson’s disease such as the award-winning Dance for PD® – led by acclaimed modern dance company Mark Morris Dance Group (MMDG) in Brooklyn, New York, US – who aim to help both people with Parkinson’s and their carers regain confidence and movement.